You've been hearing about "cloud-based PBX" for awhile now. Everyone is moving to hosted voice, and you want to join in. What’s the real value in the cloud for your business? Does Hosted PBX live up to the hype? In this article, we’ll explore the top five ways hosted PBX provides a positive effect on your business. Any benefits and value your business derives from an increase in flexibility, scalability, efficiency, and agility can’t be ignored. 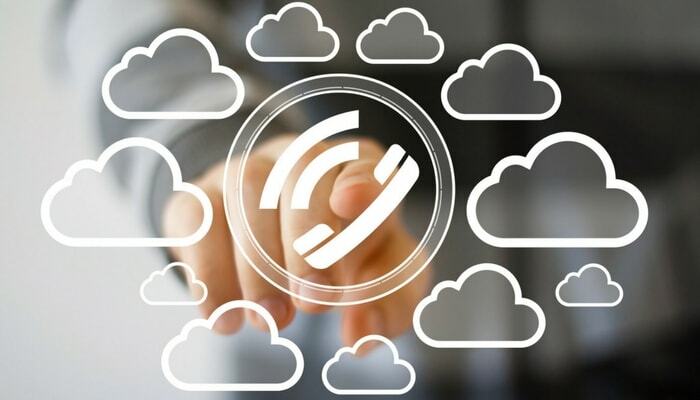 In this article, we break down how implementing a cloud-based phone system impacts each of these buzzwords, translating into real value for your business. A call that leads to a robotic panel of choices, pressing button after button, and eventually arriving at a recorded message, telling you an office visit (and an hour of your precious time) are required to make a change to your phone system. With a cloud-based phone system, making changes on the fly is easy and intuitive. Quality customer service provided by a reliable vendor makes changes fast and cheap. Many adjustments can be done with the click of a mouse, from any location. Need to add a phone line? Easy. Additional lines are added from a web-based control panel, saving on the costs and time associated with physical wiring and hardware work that land lines require. Overall administration of cloud-based PBX systems are incredibly easy to handle. Whereas managing the phone system historically fell to an office manager, or IT systems administrator, cloud-based systems put the controls into the hands of the user. This allows a person to intuitively make changes. Or, if they choose, businesses can leave this to the service provider, reducing hours and workload for internal staff. Setup is easier, too. With a hosted PBX, no one needs to clean out space for more phone lines in the closet. In fact, you no longer need a phone closet at all. PBX systems can be rolled out very quickly, with little downtime and training requirements. Where and when do your customers need you most? With a hosted PBX, you can be where they are, when they need you. Customers expect to be able to connect instantly with their vendors. Make this possible with a move to cloud-based PBX and provide the framework for staff to access emails, faxes, messages, and phone calls continuously. Add lines as needed without jumping through bureaucratic hoops and without a major financial commitment. Special events, large sales, and product launches require companies to run their businesses from remote locations all the time. Business has gone global, and a cloud-based PBX system can support the needs of a 24/7 global workforce. Want to grow bigger, faster? One strategy is to avoid major capital expenses weighing down agile business growth. 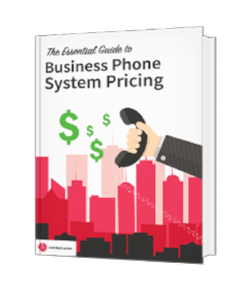 With a cloud-based PBX phone system, customers enter a "Pay as You Go" streamlined billing program with their vendor. By avoiding large barriers to entry costs, that can become an albatross as a business grows, companies can scale as needed without having to worry about additional hardware expenses. Cloud-based systems grow with you and don't weigh companies down with debilitating hardware, software, or administrative expenses. The dreaded updates required of legacy systems are tiresome, time-consuming, and a headache for all involved. Updates on cloud-based systems are instantaneous and non-interruptive, allowing everyone to continue working. Video Collaboration offers multi-party voice and video to bring remote workers and disparate sites together quickly and easily with one simple click. Desktop and file sharing allows users to see and share presentations, spreadsheets, and other media from any location across any network. Instant Messaging and Presence, or IM&P, allows employees to quickly check the presence status of coworkers and decide how best to communicate. There are few things staff members dread more than a "Mandatory Training" session—unless it's having to call the IT guy because they can't figure out how to turn off their "Out of Office" message, that is. Save everyone's time with the simple user client interfaces associated with cloud-based systems. Speedy responses and increased engagement occur on a cloud system. Why? Simply because someone always answers the phone...a jump in productivity and customer service ratings is a benefit of a move to the cloud. A company that succeeds doesn't spend money on unnecessary hardware. Invest in what makes a profit for your company instead of more phone lines, servers, and hardware. On a cloud-based system, the only capital expense is for the phone handsets. Reduced capital expenses free funds for agile growth. By outsourcing the management and administrative work of the phone system to the experts, your employees can concentrate on core competencies instead of trying to master phone system management. What's the next big application that will change how we communicate? Or the latest iPhone version that everyone will have to own? Companies that move to cloud-based phone services can literally roll with the punches. Whatever comes next can be researched, verified, and implemented more quickly and easily than on legacy systems. By partnering with an expert in cloud-based systems, you'll have a reliable trusted partner in the future of phone systems. It's not all about the buzzwords. Besides measurable gains in productivity, agility, scalability, and flexibility, a couple bonus benefits exist. In the case of a major disaster, such as fire or flood, legacy systems can be taken down for days or weeks. That is not the case when your business phone system resides in the cloud. Business can be up and running again with little to no downtime. In the case of minor outages, an easy to implement wireless backup system virtually eliminates the risks and losses associated with downtime. You'll move faster than your competition on the cloud by easily integrating with high-bandwidth technologies. Access to better call center technology, messaging apps, and conferencing tools provide an edge you'll only gain with a cloud-based system. Video and web conferencing are big and growing in popularity. Set your team up for success by empowering them with the latest in technological communications tools. The buzzwords surrounding cloud-based business operations are more than just words when they can be transformed into measurable profitability. By applying the tactics described above, and providing your staff with an extra level of performance, business owners see results in their bottom line. With flexible pricing, and a low cost of entry, business owners can move to the cloud affordably, easily, and quickly. Learn more about how Atlantech can help you plan and execute a move to the cloud by clicking here.